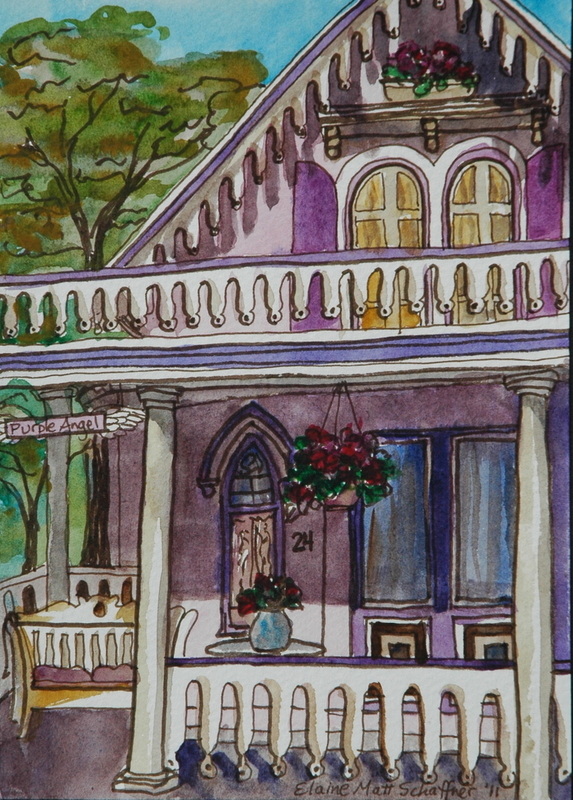 This 7" x 5" original watercolor and archival ink painting features one of the many beautiful, historic cottages of the Martha's Vineyard Camp Meeting Association in Oak Bluffs. Every summer, my family and I vacation on the island of Martha's Vineyard; a place rich in nautical and agricultural history. I've come to love the slow pace of island life and the friendly people who have a real appreciation for the land. This watercolor painting sells without a frame but will require matting and UV protectant glass to preserve its color and quality over time.